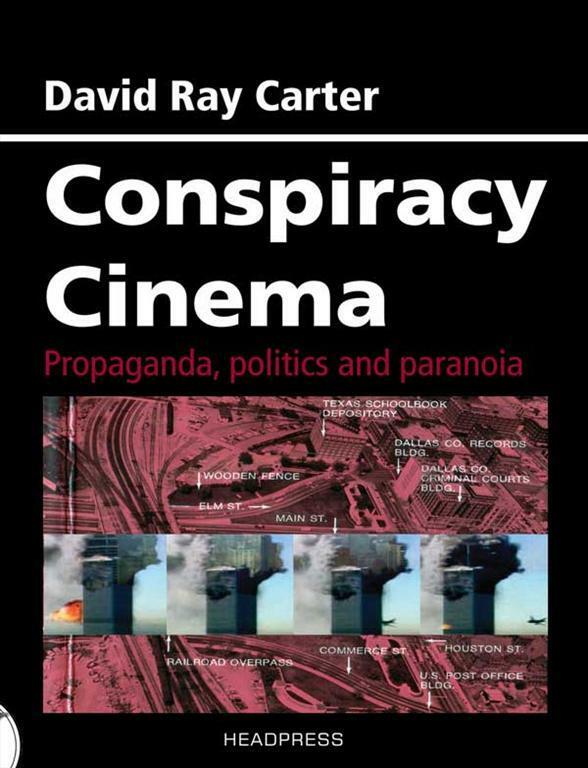 When I started David Ray Carter's Conspiracy Cinema I kind of groaned. Reading the various introductions and forwards to the book I expected a book similar to many of the films it covers - a bit jagged but very heart felt. I know that anyone making some of the films the book looks at tends to be passionate but not always possessing the best skill. The rambling introductory pieces made me fear that this might be the case with the book as a whole. Happily this is not the case and Carter's volume is an important book in film scholarship. While nowhere near a complete catalog of conspiracy documentaries, Carter instead chooses to take a look at the greatest hits and important films. These are the titles that you are most likely to run across or in some cases should be running down if you are interested in a particular conspiracy, not only JFK, Oklahoma City 911 but also chemtrails., the Catholic Church or Barrack Obama and the New World Order. The other two ways the films are looked at is from the point of view of novices to the subject and as those well versed. Repeatedly throughout the book makes the statement that if you know anything on the subject that you’ll not find anything new. This may sound like small potatoes but I can’t tell you how many times I’ve picked up a documentary based upon a recommendation only to find that they were good introduction on the subject but basically useless for anyone who already knows anything on the subject. Alternately I’ve gotten several films that I thought would be great entries into a subject only to find they were much too technical. Conspiracy Cinema takes all of the guessing out of which film you should see. Carter's approach is that all of the conspiracies have some sort of sort of merit either in information or as entertainment. It's clear he doesn't subscribe to many of the conspiracies laid out but he does find them interesting enough to warrant an investigation by the curious. Actually Carter mentions in the introduction that the book came from his regular day job as a film critic. Wanting to get away from the typical material he watches for his day job he dove down the rabbit hole and not only found a distraction but a side stream that no one had charted before. Carter decided to report on what he found and we are better for it. I am a conspiracy buff. 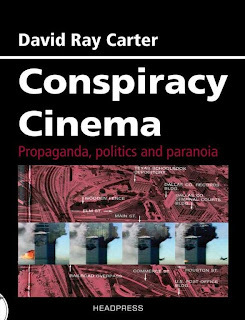 I love diving down the rabbit hole myself (hell I've done several weeks of conspiracy films) and I am floored by Carter's work. At long last someone not in the middle of the conspiracy field has looked over the field objectively (and entertainingly) This is something that someone should have done years ago but no one did. How could we not have had a survey of conspiracy films before? Anyone interested in conspiracy or documentaries in all their forms should read this book. It will open your eyes- and entertain you.